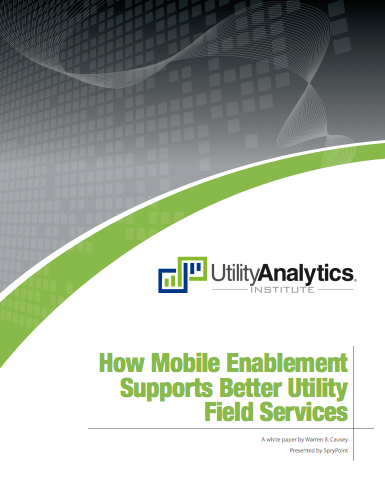 What type of mobile device do you use in the field? We get asked this question a lot: “What type of mobile device do you see in the field most often?” It’s a good question and we’ve seen an evolution over the past few years in what our customers are rolling out to their technicians and supervisors. If you’ve spent any amount of time working jobs in the field, you’re probably very familiar with the ruggedized laptop or “Toughbook’s”. These pieces of hardware looked like you could run over them with a tank, and they came along with a hefty price tag. 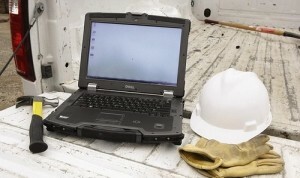 Ruggedized laptops helped support electronic data access and entry in the field, in the most portable form at the time. Here it was common for the ruggedized hardware to be mounted in the truck, and not uncommon for all the vibration associated with driving to take a toll on the equipment. Contrast this with the mobile devices of today and we see a form factor that easily fits between the seats of a vehicle, or neatly into the glove box. Mobile devices (whether a smart phone or tablet) are ubiquitous. Not only are these devices everywhere, an ecosystem of accessories and peripherals have sprouted up to support using these devices in less than ideal environments. The majority of our customers are using tablets in the field. Some are taking advantage of ruggedized accessories and some are using traditional business/portfolio cases. The relative low cost of acquisition, intuitive nature of the operating system, and maturity of the ecosystem to accessorize and secure the devices are some of the key factors determining their use in the field. Considering the 1st generation of the iPad was only released in 2010, we expect that the ecosystem delivering accessories to support fieldwork will only continue to evolve and advance. If your utility is using ruggedized laptops in the field, it may be time to consider piloting a tablet and compare the usability, support and total cost of ownership.